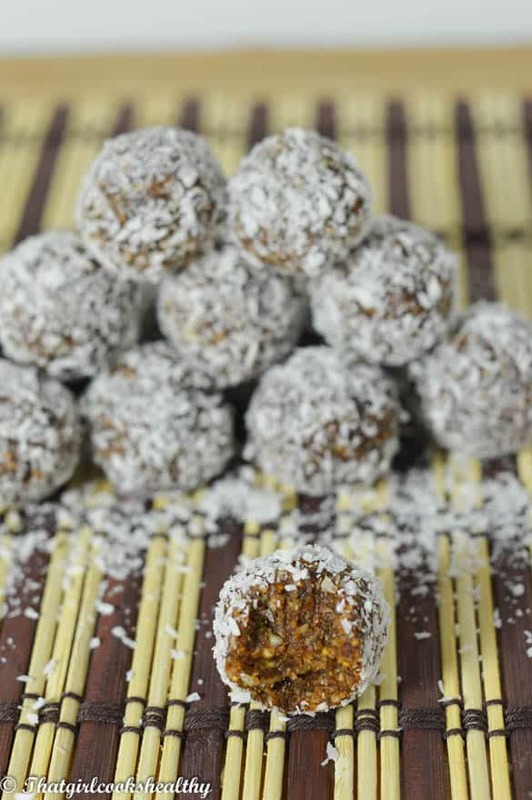 Chocolate coconut energy balls – these raw chocolate energy are packed with gluten free ingredients that will help to kick start your day. Energy balls are a really amazingly convenient way to eat a snack. The reason they make an ideal snack is because of the health benefits which are associated with them. 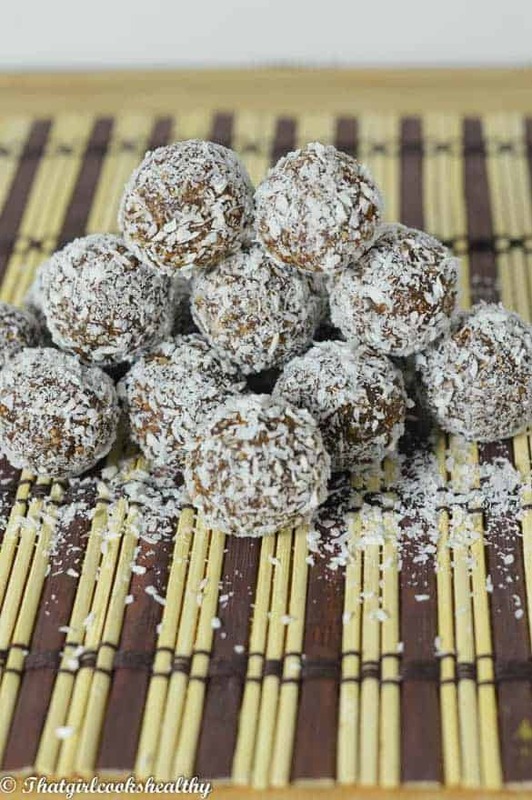 Energy balls are nutritional carbohydrate dense foods which are perfect for; maintaining energy, boosting the metabolism and assisting with a caloric diet. 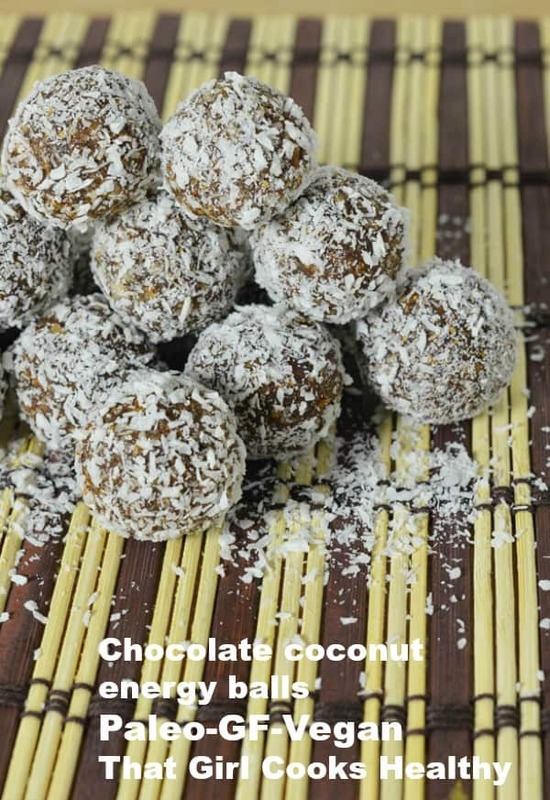 Whether you are about to perform a vigorous exercise routine, just completed an intense workout session or simply in need of a healthy snack to eat at work, I would highly recommend these cute little chocolate coconut energy balls. 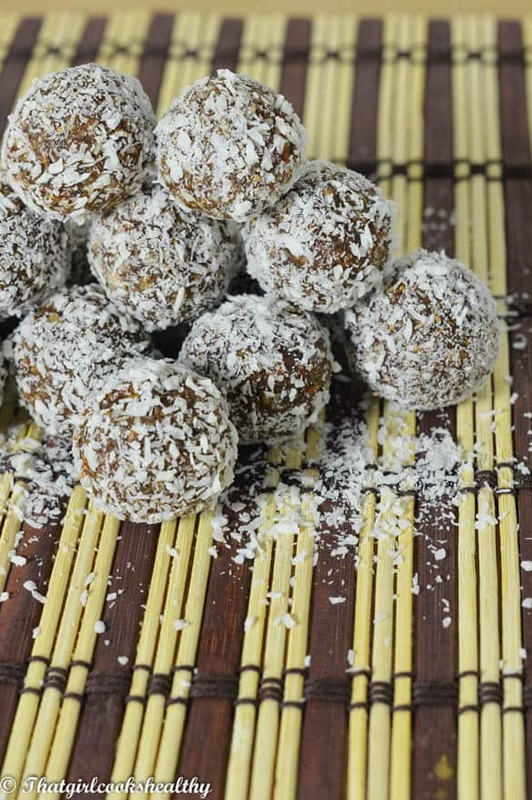 The ingredients for these chocolate coconut energy balls are simple yet tasty – Almonds, shredded coconut, dates, cacao powder, nutmeg and some water. 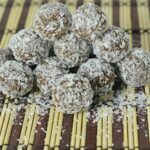 Most energy balls tend to be made in their raw form, making them suitable for raw foodists and vegans, with that said, you can be as diverse as you like with your ingredients. One thing I will say, is that the prominent ingredient in the majority of energy balls tends to be dates. Dates have the ability to mold the balls together, think of it as the foundation and not to mention they are a natural sweetener. 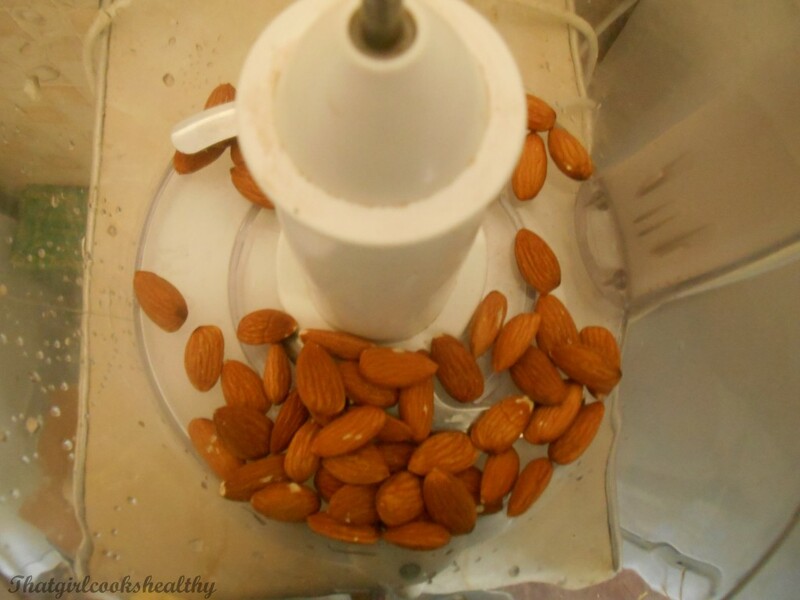 Pour the almonds into the food processor and pulse on high speed for 1 minute or into a fine meal in present. 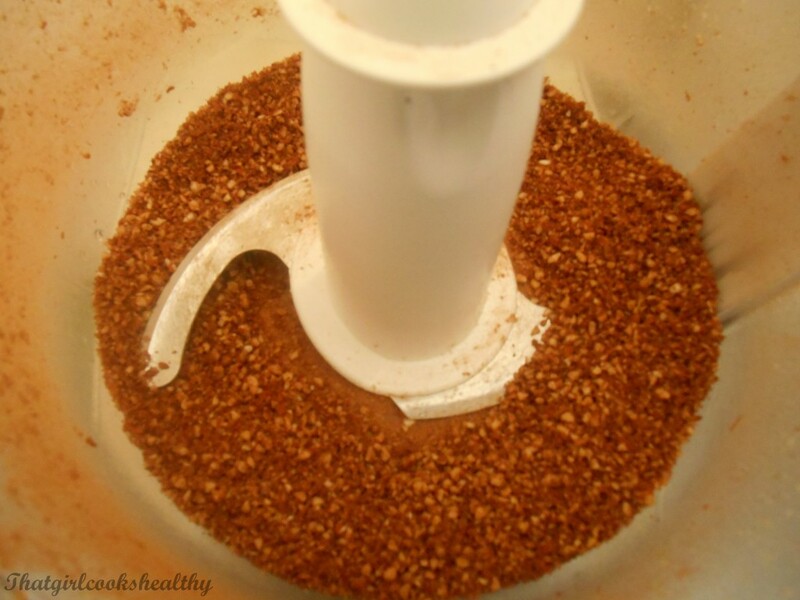 Add the nutmeg and cocoa to the bowl and pulse on low speed in order to thoroughly combine ingredients. 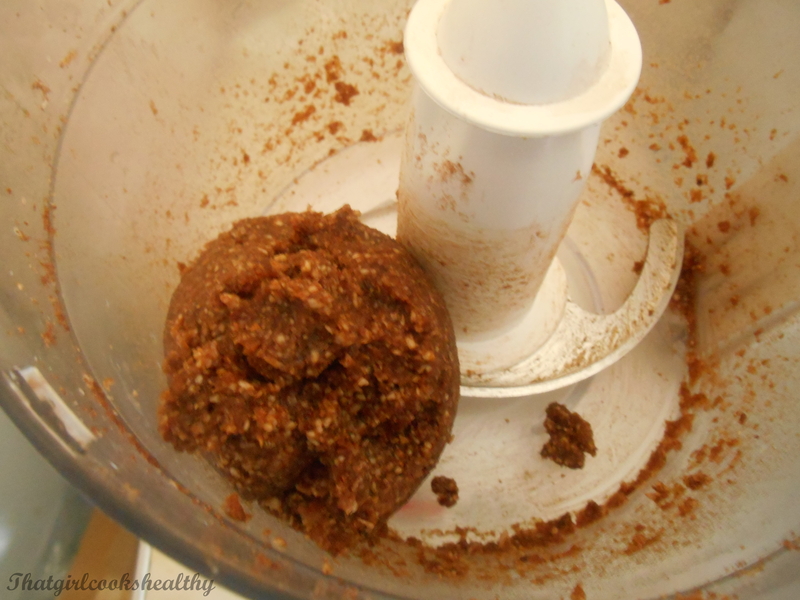 With the food processor on high speed, start to slowly add a few dates at a time. If the mixture gathers towards the sides, take a spatula and push the contents downwards. Finally pour in the water one tablespoon at a time, this should be suffice, you want the mixture to be soft but not too wet (add an extra tablespoon of water if necessary). When the mixture is formed into a huge ball, at this stage you can begin to use your hands to roll the dough into small circles and roll into shredded coconut.